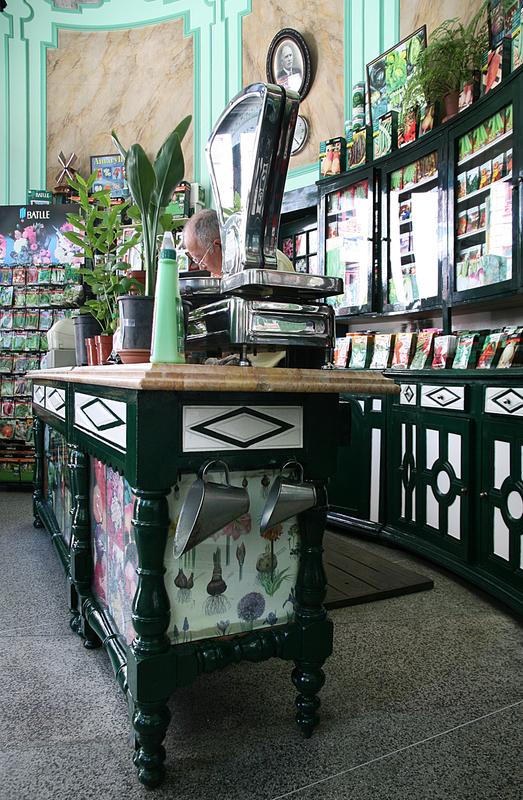 Casa Hortícola, Mercado do Bolhão, Porto. A lot has already been said about this in The World of Interiors, but unfortunately it’s not availabe online. 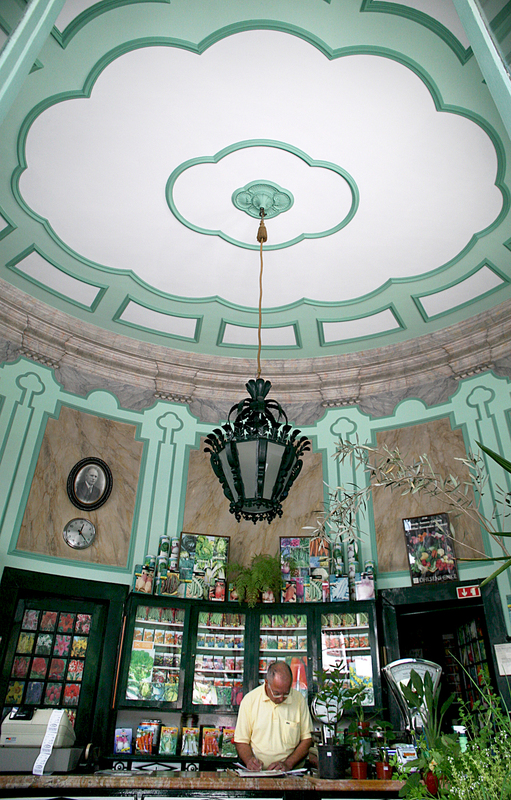 The seed store is a gem on one of the corners of the Bolhão market in Porto. The market is visited by hundreds of tourists every day, but in spite of this its conditions border the insalubrious, with pigeons walking inbetween the flowers and pieces of stucco falling from the ceiling. The produce is without compare in the city though, and we can only hope this store remains open for long.